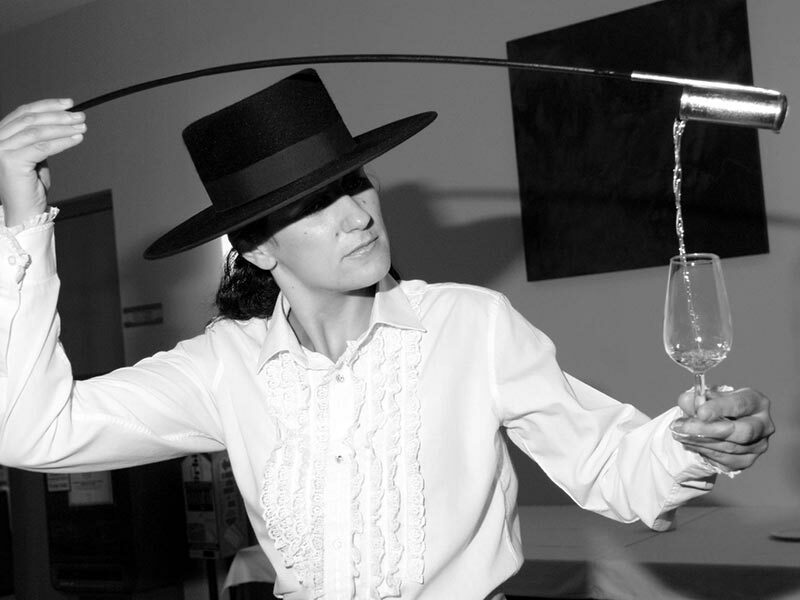 Manzanilla and Sanlúcar de Barrameda are two tied notions in wine industry; the southern city is one of the corners in the ‘magical’ triangle of Jerez. The production of these particular wines is only possible in the region’s wineries and that is the reason the Manzanilla is a Protected Designation of Origin by itself. In 1993, the manzanilla from Sanlúcar de Barrameda started its commercialization under the Jerez-Xérès-Sherry Protected Designation of Origin. However the regulations were amended in 1964 and the designation of origin was created as we know it today, Manzanilla-Sanlúcar de Barrameda, with the official acknowledgement of the special features of the manzanilla. The Manzanilla-Sanlúcar de Barrameda Protected Designation of Origin is currently geographically placed inside the Jerez-Xérès-Sherry Protected Designation of Origin and both are sharing the production area and the Control Board responsibilities. The Manzanilla is a unique, traditional and special wine, due to some weather conditions exclusive to Sanlúcar de Barrameda. Its dynamic production through the old criadera-solera process system benefits the flor yeast manifestation, which covers the wine and engages with it during the aging process. Manzanilla is a pale wine with unique features, with a peculiar aroma and soft taste. It goes really well with any appetizer. Classic manzanilla varieties are Fina and Pasada. Taking into account the aging length, fina-based manzanillas can show oxidation as the flor begins to fade long enough, after years of aging, in older criaderas; then it becomes the Manzanilla Pasada. The Manzanilla-Sanlúcar de Barrameda Protected Designation of Origin recently celebrated its 50th anniversary in several cities across Andalusia. Manzanilla y Sanlúcar de Barrameda son dos conceptos ligados en el mundo vitícola, la ciudad gaditana constituye uno de los vértices del triángulo “mágico” de Jerez. Únicamente en las bodegas del entorno es posible la crianza de estos vinos tan singulares, razón por la que la Manzanilla forma una Denominación de Origen en sí misma.